There is literally nothing like this experience! This is an awe inspiring and unique camping experience. It is not a place to relax all day, make a fire, and hang out camping experience. White Sands IS a place to experience at night, preferably during a full moon. There are 10 spots and the office opens at 9:00, be EARLY (I always get there an hour before). Once you get your spot do some local stuff, Alamogordo is 20 minutes to the east, not great but you can also head up to Cloudcroft which is nice and has great hiking. Or you can go to Los Cruces which is nicer and bigger and also has some hiking in the Organ MNTs. Head back to camp 2 hours before sundown. You’ll have to hike about a mile in sand to your campsite. Set up and prepare to enjoy the night! I’m usually set up an hour before sunset and then stay up till midnight or so. It’s amazing and no words or pictures can really do it justice (at night especially). In the morning it gets hot pretty quick so be prepared to leave early. 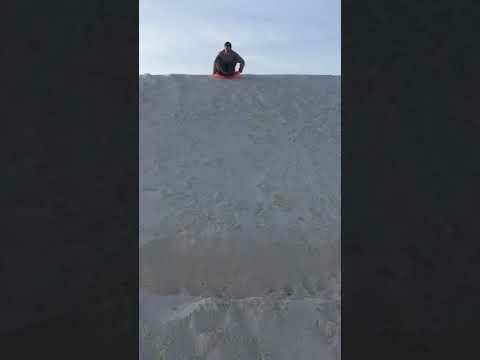 Enjoy, I’ve hit this every 6 months, three times in a row and it never gets old! Awesome hill/mountain side campsites, close to the lakes and creeks. Look out for wild turkeys, deer, elk, bears, and even wild horses! Drive up the mountain to SkiApache, there are awesome overlooks on the drive. We went in the summer, but rode the gondolas to the top of the mountain, then hiked to the summit where you could see the next mountain over which is sacred land to the Apache, you could see an old lava flow, and even another mountain range. The only issue we had was deer flies, but they would loose interest pretty quickly and then your good to go. While staying at this site I spent most of my time at the petroglyph site down the road playing amongst the igneous rocks. There are over 21,000 petroglyphs to be found. It is a beautiful view of Mt. Blanca and the White Sands in the distance. The hosts are very sweet and full of amazing information. The sites were comfortable and secluded (at least when we were there). It takes a drive to get to but you really feel like you are away for major civilization which is very nice. There are tent platforms that are a bit small and bathrooms. No showers or additional facilities but there is a general store on the main road to the campground. Amazing little gem located half an hour from White Sands. Recommend reservations if looking for electric sites. Plenty to do and see. Close drive into town for just about anything you could need but far enough to get the high desert. Clean bathrooms and showers. We only used electric site. Used the air conditioner for the hot mid days and heat in the early mornings. One evening we could hear what we think to be artillery explosions from the White Sands missile range by the Air Force Base. Nothing alarming if you have heard artillery before. Short lived and did not interrupt our experience. This is a must see! It's hard to explain the beauty of White Sands in words, but it's definitely worth the stop and 1-2 mile hike in to a primitive spot. Primitive is the only option here and be sure to check weather patterns for the times you go. I went in early spring and the wind was pretty ferocious - luckily I was prepared and had all the necessary gear. It's a tough hike in depending on your pack and the sites are as bare as it gets, but the scenery makes this place what it is. Beautiful. The lower fir group camground is a great escape to the mountain camping. Next to a not so busy 2 lane road. You can go higher into the woods to get away from the road if no one is out there. The proximity to the road is the only reason I marked it a 4. It's a beautiful area you can be with a large group of friends without being bothered by anyone. This site is usually vacant, at least on the two times I've been up there. Beautiful weather in mid spring to late summer outside of the local monsoon season. If going during monsoon season be prepared to get wet and muddy as the rain usually picks up around noon and ends in the late evening. They did have a restroom towards the entrance of the site. Site is very close to Cloudcroft if you need anything on short notice. They did have some fire rings as well. They're a few areas that have a camp site established there but we chose to hike off into the trees and find our own spot. There are plenty of trails and campsites in the trees. Not a super popular area so they aren't too many people to fight over campsites with. They're are bathrooms there near the parking lot. They could be a little better but are just fine. Great place to cool down when coming from the basin and the 95+ degree days in the summer. Does get snow in the winter months and will drop below freezing. Beautiful pine trees surround the area. May run into deer or elk while out there. Great little campground at the base of the mountains. Provides great opportunity to hike and learn about some history in the area. Initial part of the hike is pretty strenuous but it becomes easier after about .7 miles. Campground has hookups for RVs and plenty of flat lots for tents. I believe the fee for the state park was 5 dollars per night. This camp ground is far enough off the high way you don't get any vehicle noise. Only vehicles you'll hear are people coming and going from the campground or hiking trails. I’ve been going for years on end. The best times are when the creeks are running.. they can get decently deep and are great fun. It’s a little of the beaten path and the spots are no more than open areas.. it gets busy during the holiday times. But it’s just a few minutes to the lakes. The road is barely able to fit two vehicles so there are times you have to make a close pass due to the ledges. Over all beautiful campground.. a bit far from any stores so come prepared. Lakes are fun, they stock regularly and it’s a nice time. Is this really New Mexico? I have seen mostly upper New Mexico and well when I found this area in comparison that or anything else near El Paso, I was more than a bit confused as to where I was. Yes, it is a forest, but still I wasn't ready for how forest-like and amazing it was. Driving out you have no cell signal at all. The roads are winding and you see a lot of livestock, then out of no where deer, big deer and elk! It is like a different planet from everything else and the deeper into Cloudcroft you get the more and more it starts looking more like Colorado than anything you would assume would be New Mexico. The campground is no different! Large shade trees standing tall above the site, the ground below looking like it was cut from a different cloth than anything from all the miles you travel in any direction from this location. The temperatures itself even is different, cooler by about 15 to 20 degrees. The camp is small and while they have a posting for RVs I don't see how they could easily fit in the spaces I saw. There are minimal amenities such as drinking water and vault toilets but no dump stations or hook ups. It was very quiet when we were there although there were other campers, the sounds of everything around seemed to muffle any noise they could be making. Don't plan on contacting anyone, staying here is a truly unplug and unwind experience. Explore some of the hiking in the area. Lincoln National Forest has nearly 50 trails so there is something for everyone from short day hikes to long treks for backcountry camping and hiking. Just a few minutes outside of the lovely village of Cloudcroft, this campground offers several sites, all with a bit of variety from the next. We stayed overnight in mid July and really enjoyed the location. This is a great spot to escape the heat of the desert. Be prepared for afternoon thunderstorms & showers in the summer months. Sleepy Grass campground is also nearby in case this one is full. Highly recommend for anyone who enjoys peaceful mountain camping. If you are wanting a fun challenge this is a great one! Backcountry camping can be interesting anywhere you go, but what about in a place where you will have your footsteps covered within hours of you entering and dunes constantly shifting to reveal new beauty? 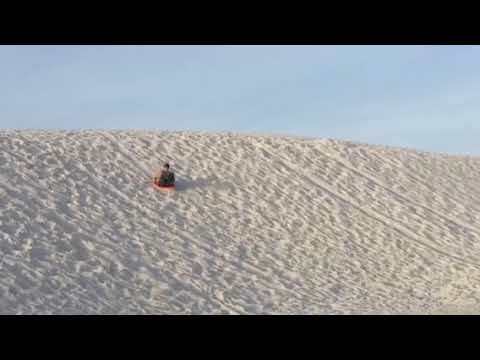 If you are up for a challenge The White Sands National Monument is the place for just that. Of course this is a hike in camping experience so you can park your car along one of the numerous pull offs in the area and hike to your destination of choice. This trek will require a permit which is $3 for adults in addition to any entrance fees which are charged, of course if you have your park pass you can avoid an entrance fee. You will need ALL your gear for this one and take into consideration a lower profile tent because winds will whip at taller ones. The official definition of backcountry camping here is a hike of a mile so that means you will need at least 1 liter of water per mile you are hiking and enough to sustain your needs during the evening as well. I did notice that using my small camp burner was a little difficult here because of the wind. Though I was able to get it to work finally I had to turn it to the highest level and really make an effort to shelter it while it worked. I really wanted to get some awesome night sky photography because of the brilliant sky you see above at this location, however I noticed that I had not come fully prepared to do so and so it turned into more of a quiet night than a night of activities. I was very excited about this trip and I learned that for days and days I would continue to pull sand out of everything I owned, so it was one of those trips that keeps reminding you of your journey to say the least. Bring a facemask or bandana to cover your mouth when you are out here otherwise you will be miserable and your lips will be very chapped. 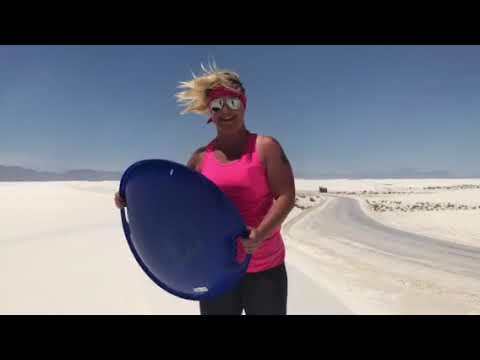 Also try sledding while here, the white sands are slick like ice and almost have the same effect as snow sledding which can be very fun. If you choose to do this you can purchase a disk or rent one in the Visitor Center. This was a lovely campground near Cloudcroft, NM. It is located in the Lincoln National Forest. We really enjoyed our couple of days at this location. It is near several hiking trails and convenient located close to town in case you needed anything. This campground also has a special trail that was created for blind and deaf children, so it has signs with sensory additions. It was a really sweet spot. The sites themselves were spacious and very reasonably priced. If you want to be further away from people, pick one of the first sites you see, otherwise the sites are clustered in groups. We would definitely go there again. It has dispersed camping that, depending on the site, may require a short walk. I did not actually camp here (wish I did! ), but spent an afternoon at the campground. A beautiful area! EXTREMELY friendly staff and very accommodating!! 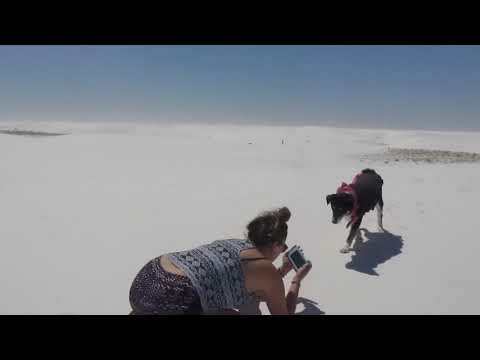 All of the sites are easily accessible to the showers and the location is perfect for White Sands National Monument. I would definitely stay here again if we go back to the region. some good hiking and a pretty waterfall but a lot of people camp near the waterfall. I don't think it's an amazing spot but love to visit the waterfall and hike. fairly quiet dirt road with camping spots all along it. Has hiking trails. Small but pretty. Quite a bit of area to hike. Cute spots, not a ton to camp. Lot's of trees. Toilets, trash etc. We usually take a camper out there. It's great for off road vehicles and it's pretty open. No shade and can get pretty miserable if it's windy. One of the prettiest places in the U.S.A and the sand never gets hot! We go a lot. Dirt road access. Camper friendly for "most" of the way. Off-road vehicles allowed. Very pretty spots! Smaller campground with plenty to keep the kids entertained. Playground. Some of the campsites back up to a nice running creek. Beautiful bridge crossing over the creek. City camping close to restaurants and stores. Only about 10 minuets from White Sands State Park. Partly shaded gravel sites with water, electric, fire ring, picnic table. Campsites are very close to pool, playground, and restroom/showers. Very clean with a well stocked store and friendly staff. 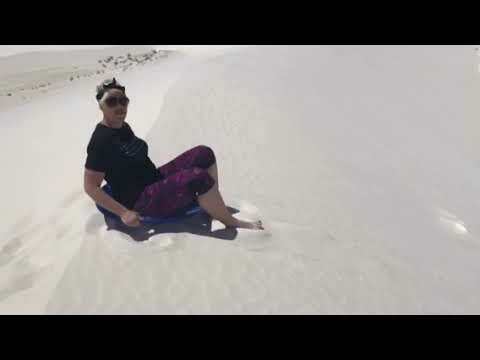 The staff gave us great tips for local venues, loaned us sleds for White Sands and rewarded my boys with popsicles for their good manners. Clean showers/restroom. A little crowded Memorial Weekend, but we had a great stay. Camp host friendly. The have a gazebo with a TV and table. My daughters played in the stream that runs along side the camp. Site is quiet and privateClean toilets. Really enjoyed our stay! amazing hiking! 2 sites with water & electric. Other sites with no hook-ups. No dumb station. Very clean bathrooms- no showers. Amazing view that will leave you breathless... because it is at 9,500 feet! The drive up is full of narrow switchbacks that you just hope and pray nobody else happens to be coming around at the same time as you are. There are some quite steep grades as well. Whoever set the speed limit at 30 miles per hour must have been a daredevil before they found employment as a civil engineer. However the road is decent enough that most any vehicle can navigate it. I had zero issues in my truck with a camper in the bed. A class B could get in there as well, but there's no room for anything bigger and good luck getting level. There is absolutely no room for trailers at all. There are only about 5 walk in tent sites that I saw with fire rings. The only amenity is a vault toilet. Be aware that you are on a mountain peak so it gets pretty windy. Your $40 Wally World tent will probably beat you to death in the night. Make sure you have a sturdy setup. If you can deal with all that though, the view is unsurpassed. Its just a small hike up to the tower where you can see in every direction forever it seems. The forest in the area is just starting to recover from wildfires a couple of years ago, but the contrast between the burnt old and the growing new is beautiful. Note: a previous review stated the tower was closed, but it was back open by my visit in Sept 2017. Great campground with nice semi-private deluxe sites. 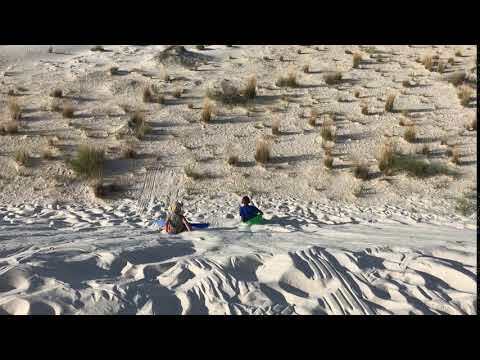 Nice central location to visit White Sands and the Billy the Kid Trail.